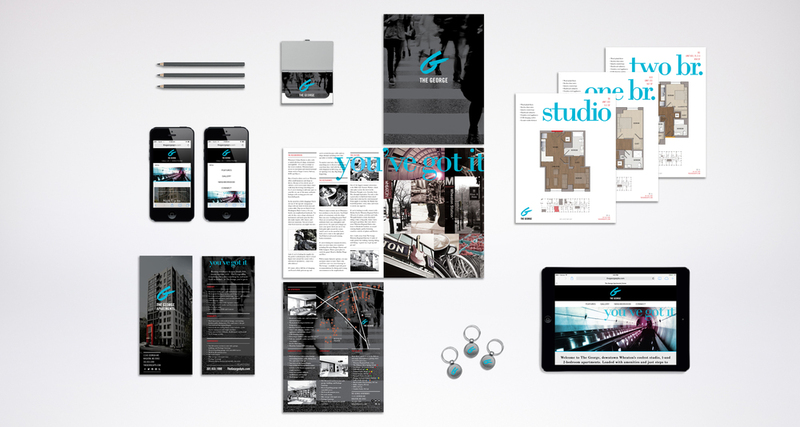 Comprehensive branding and marketing package with super graphics for The George. On the outskirts of the District in the city of Wheaton, a boutique apartment building named The George lives on Georgia Avenue. 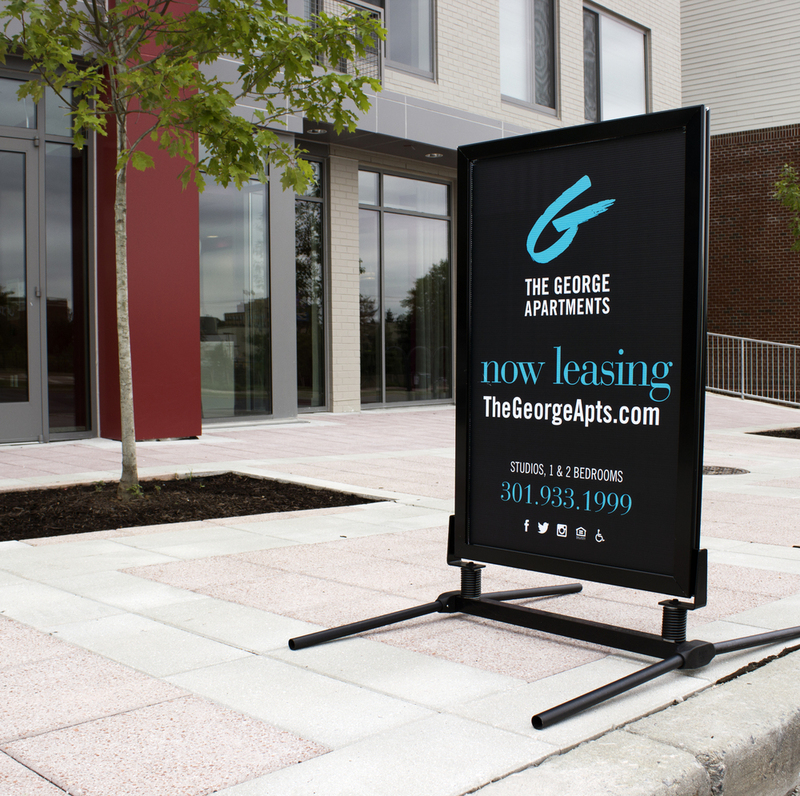 Rather than capitalize on proximity to the city, The George plays to the neighborhood – promoting Wheaton’s authentic restaurants, specialty retail and artsy vibe. Supported by neighborhood photography and editorial styling, the community-focused branding was welcomed by residents and local businesses with enthusiasm. Hickok Cole Creative delivered a comprehensive branding and marketing package to The George including supergraphics.